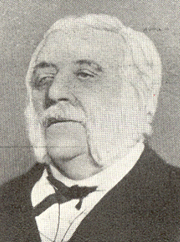 Alfred Bird was born in Nympsfield, Gloucestershire, England in 1811. 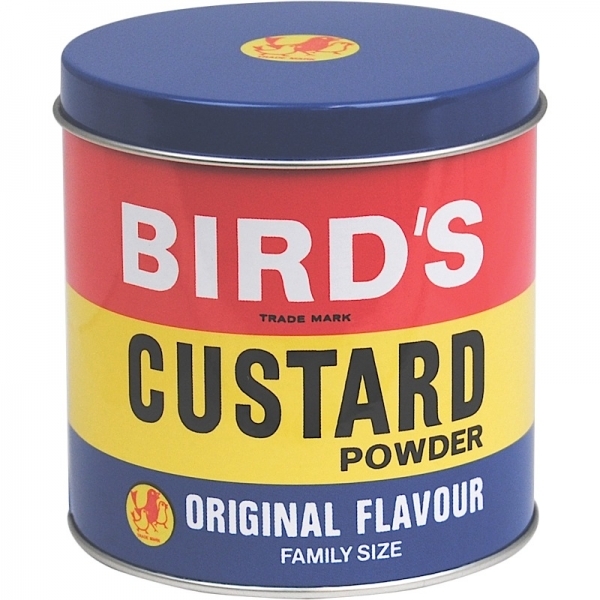 He invented Bird's Custard Powder in 1837. He was a food manufacturer and pharmacist. He set up a chemist's shop in Birmingham in 1837. 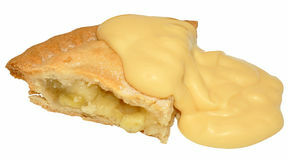 Alfred's wife, Lady Bird, was allergic to egg and yeast but she adored custard. Alfred Bird set about trying to find a way of formulating an egg free custard for his wife. After much experimenting he found that cornflour powder would thicken to form a custard-like sauce when mixed with milk and heated. 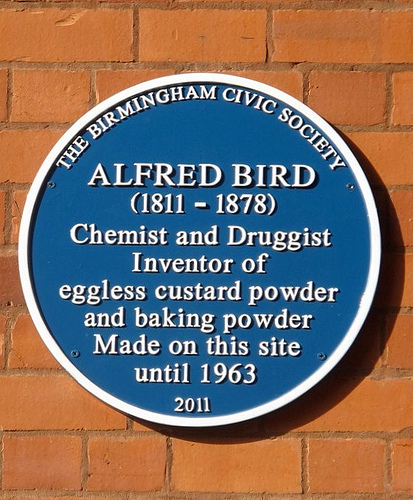 He formed 'Alfred Bird and Sons Ltd' and later went on to create a formula for Baking powder, blancmange powder, jelly powder, and egg substitute.